Or, The One with Good People, because that’s been my week. I’m in a good place, with good things happening, surrounded by good people. And it’s glorious. 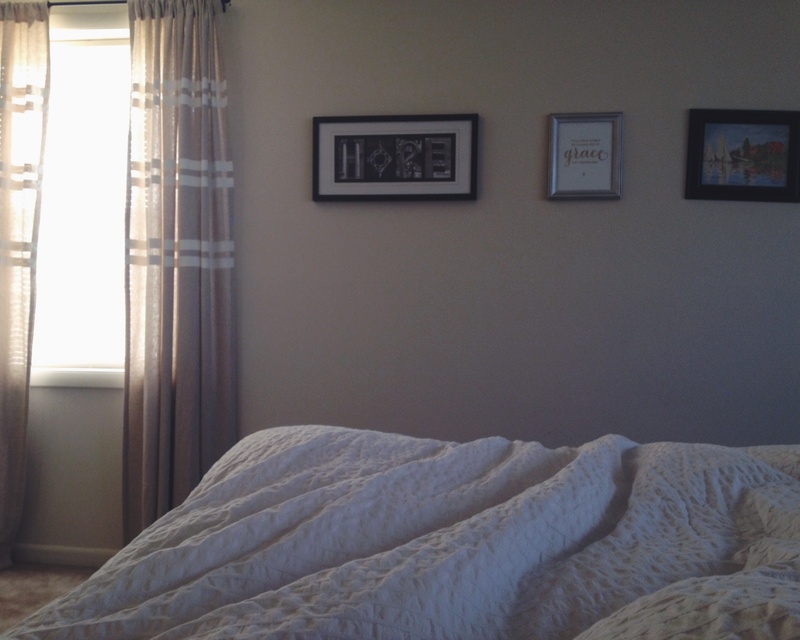 The sun shines into our bedroom bright and early every morning, bidding me to wake up and live out loud. And this photo doesn’t do it justice, but the morning light in our apartment is off the chain, and totally the reason why we just might stay here another year. And, you know, I’ve learned to let go of the slightly crooked picture frames, and if that’s not progress then I don’t know what is. Last Monday was a bit of a downer (complete with angsty blog post and all), but Tuesday brought clarity and summer jobs and great friends back into focus. The week finished out nicely and this weekend was jam packed with some of the best people I’ve ever met. There was also funnel cake, so it’s a win all around. So there’s my update. Things are good. Friends are good. We’ve got it good here. And this place was never in our plans, which just goes to show that plans are dumb and God is good. You rock. Love you much.